I think it happens to many of us when we get given money for birthdays, special occasions or even a bonus at work that we say we'll hang onto it and save it for something special that we really want, but we actually end up spending it on transport, bills or even the boring weekly shop. Having a brand- or shop-specific voucher can really help when it comes to making sure that we don't spend all our money on necessary but boring things and that we keep a little left over for ourselves. For that reason I think vouchers make better gifts than money in a lot of cases, and my sister has started asking only for vouchers at Christmas and her birthday because she knows she'll spend actual pounds on the boring stuff! 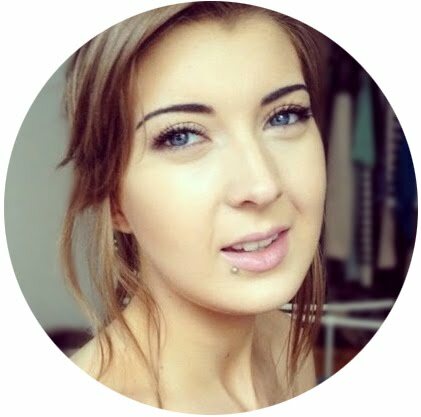 I was recently contacted by Zeek and asked if I'd like to try out their app which enables people to sell their unwanted vouchers so they can earn a bit of money and someone can buy a voucher with a bit of a discount. 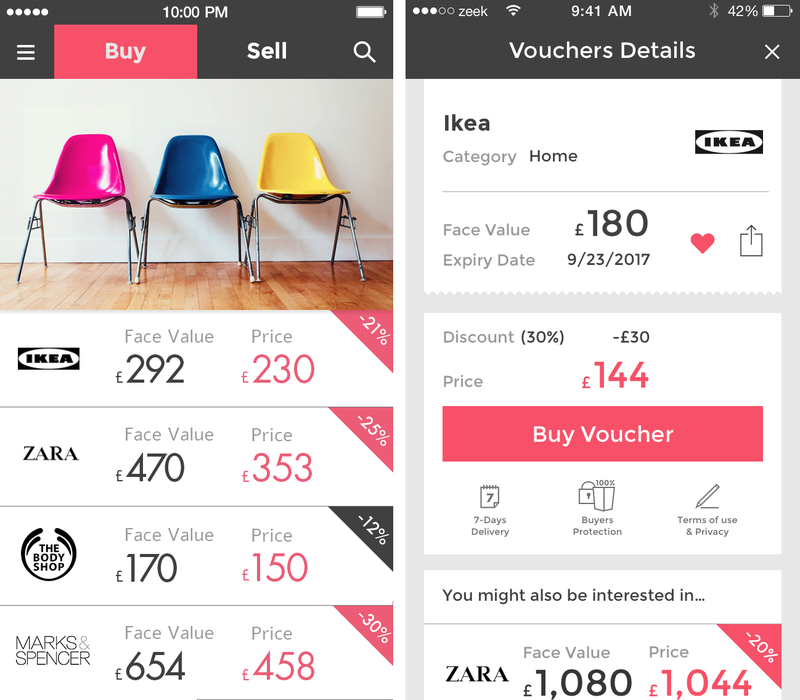 Zeek is free for both iOS and Android and has a super simple interface- forget eBay or any other marketplace app you use, it would be easy even for a complete technophobe to understand how to use it. There's a large range of discounted vouchers on offer from Ticketmaster to Amazon and lots for fashion lovers like River Island, New Look and Urban Outfitters, as well as for beauty lovers like John Lewis and Boots. Zeek generously offered me a £50 discount code so I could properly try the app out and I went for an Amazon voucher as I thought it would offer quite a lot in the way of options when it came to spending the voucher. My voucher had a discount of 6%, but I have seen discounts of up to 27% which means you could end up with a real bargain! All the vouchers have been verified as real by Zeek and you can pay by credit/debit card or PayPal once you've chosen one you'd like to purchase. The Amazon voucher I chose was an electronic voucher, so after checkout (which look literally less than a couple of minutes) the details appeared in my account almost immediately and I could start shopping right then! 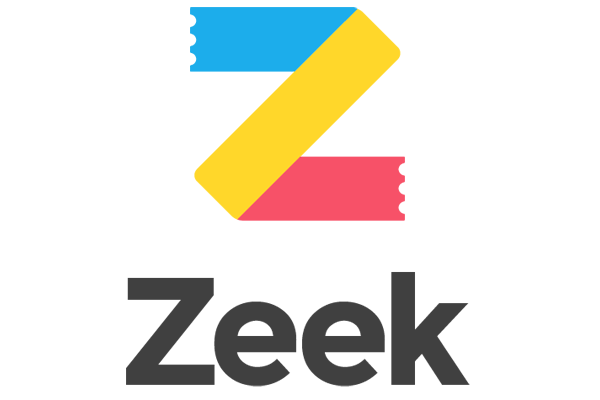 I haven't had experience of using Zeek to sell a voucher but if it's anything as easy as buying then I'll definitely be putting a few unwanted gifts up for sale soon. Zeek charges £3 to the seller regardless of the voucher amount and buyers don't have pay to processing fees, even for postage. If you'd like to check Zeek out you can download the app for iOS here and for Android here, plus if you use the code 2WFFFH Zeek will kindly add £5 to your account to spend on your first voucher purchase! I'll also receive £5 to my account too (think of that as a little gift from you to my sister!). How do you feel about shop-specific vouchers, are you happy to receive them or would you rather just have the cash?